Last time, we took our first steps to creating the framework for our monster. This time, we’re going to throw some meat on those bones! When we left Kasama, she was looking a little thin. KASAMA THE INCOMPLETE CR 30?? It’s only fair that we make her more formidable. We’re going to start with her Defenses. First is her Armor Class. According to Table 1–1, a CR 30 creature should have about 48 for its AC. The fun thing about monsters is that you are allowed to kind of do what you want to make the numbers line up. Watch as I grant Kasama some natural armor! Tada! It’s as easy as that. There is no hard rule for how much natural armor should or shouldn’t have and thus, we can grant it enough to shore up its AC. What this does is give creatures that don’t have other methods of improving their AC (armor, Dexterity, deflection and dodge bonuses, etc.) a really high flat-footed AC but a generally weak touch AC. Creatures with high AC from other methods may suffer from low flat-footed AC. 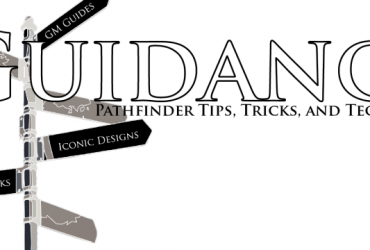 This is all somewhat inherent to the rules of Pathfinder and there’s definitely space for a discussion on the pros and cons of the system in relation to AC, but that is for another time. There are plenty of ways to improve AC without natural armor that are not immediately obvious. An incorporeal undead adds its Charisma to AC, for example. Small or smaller creatures gain a size bonus, so you may consider making the creature ever smaller. You can find these other sources of AC or even make your own! That’s something I will tell you about later on. For now, we’re throwing a lot natural armor because it’s quick, simple, and makes sense for an enormous turtle made of fire. As natural armor doesn’t really affect anything else, we can move on without worry. RAWR! I’m chitinous and easily hit by touch spells! This is a bit lower than suggested, but not by much. 50 hit points at CR 30 is not too much of a difference (less than 10% in fact!). I’m okay with lower hit points, especially with my plans for later. Fortitude is a bit higher than the suggested +31, but Reflex and Will are right in line with the suggested +26. Again, the table just has benchmark numbers, but your monster can swing a bit high in some places and a bit lower in others, so long as it is mostly in line with the rest of the table. Bigger, stronger monsters like Kasama could have really strong attacks and AC, but low save DCs. A more intelligent creature might have high save DCs, but really low AC and HP. As you make more and more creatures, you get a feel for what is too much or too little in a given direction. In this case, I’m shooting for Kasama to have strong ability DCs and lower defenses to compensate. Seelah understands the value of good defense. Next up is offense! Offense is where things get fun. First up is movement speed. There is no hard rule when it comes to movement speed. I always try to have at least one form of movement move at least 20 feet per move action, but if it makes sense for your creature to move slower, go for it! 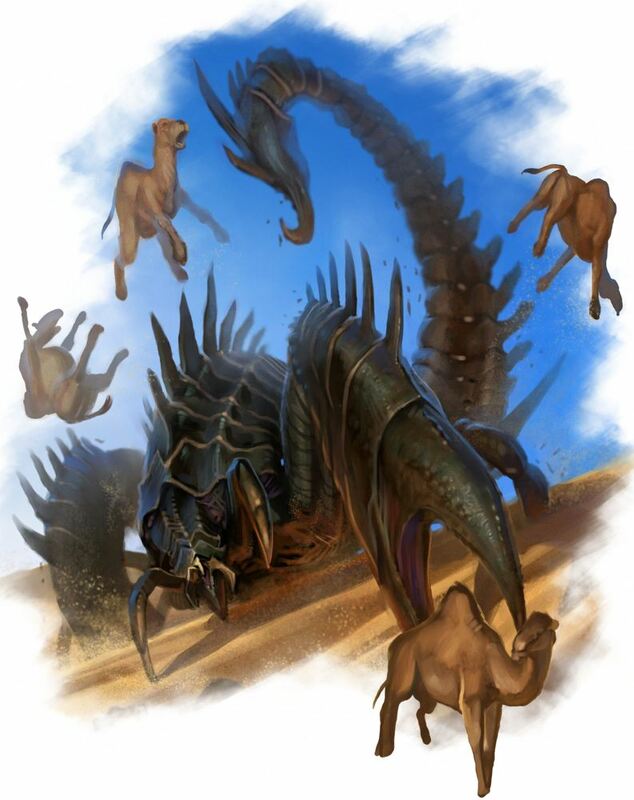 Larger creatures generally have faster movement speeds (bigger steps, don’tcha know?) and smaller creatures are generally on the average end of the spectrum, but movement speeds are all over the place in the Bestiaries. I suggest finding a creature that is similar to your idea in theme, physical shape, or CR and work from there. The dragon turtle has a slower land speed and a swim speed, so I worked from there. Speed 70 ft., swim 100 ft.
Up next are Kasama’s melee attacks. Again, as she is based of the dragon turtle, I’m going to follow that lead and give her a bite and two claw attacks. How much damage should they do, though? Well, if you look at the Universal Monster Rules, you can find “Table 3–1: Natural Attacks by Size” which gives a good jumping off point. That’s all fine and dandy. This is another place you can flex your creative muscles, however. Let me give you another one of my patented Monstrous Physique Secrets™: You can make the damage dice whatever you want! Truly! Honestly! 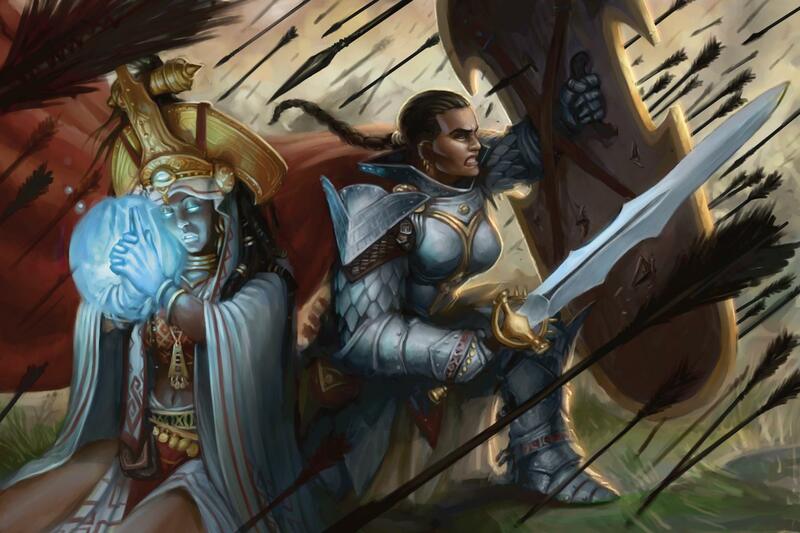 Unlike a PC or NPC, creatures are not restrained by the rules determining damage dice. Some good examples are the aboleth’s undersized damage die and the stag beetle’s die that is two size categories larger than normal. What you’re really shooting for is the suggested damage and if you must choose uncommon damage dice to achieve this, so be it. That being said, let’s give her some attacks! Well, that’s not very exciting. In fact, that’s really far off from suggested damage for her CR. She averages 46, 39, and 39 for a total of 124 damage in a round, well below the suggested 255. I’m planning to do a lot with her damage later, but I’ll make one change right now. For this, we are giving her a special quality. This ability, which we will call powerful strikes, is blatantly stolen from the tyrannosaurus entry. The ability allows her to add double her Strength bonus to all attacks. This gives us another 54 damage per round, bringing her a bit closer but still a bit off. That’s okay. Kasama still has a long way to go and there are still plenty of opportunities to pick up the slack. Kasama could definitely stand to have some ranged attacks. The dragon turtle doesn’t have any already in place, but we can get really creative with making our own. For now, I give Kasama some special attacks that will do nicely for this. I’ll go into detail on these attacks later, as they will fall under the purview of special abilities. After adding some critical feats, we can see that Kasama is starting to shape up into a formidable force already. Powerful Strikes (Ex) Kasama applies twice her strength modifier to her natural attack damage. With the next entry, we will go over the Statistics and Special Ability entries for Kasama. The Special Attacks are where things can get especially fun, so I look forward to it! 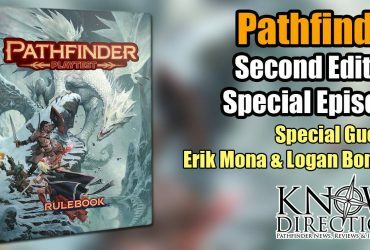 If you have any questions about making monsters (in either Pathfinder or Starfinder) leave them as a comment here, drop me a line at KnowDirection@hotmail.com, or send them to me on our Discord server. I’ll see you soon!